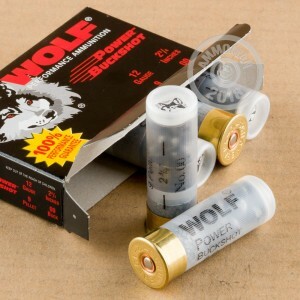 This 12 gauge ammunition from Wolf fires 9 pellets of 00 buckshot at a muzzle velocity of 1,325 feet per second. It's a great way to train for a self-defense situation with realistic recoil and ballistics. 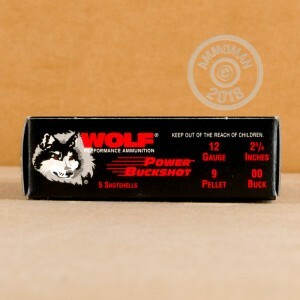 Wolf buckshot is made in Europe and delivers solid patterns and great terminal performance. Place an order for $99 or more and get free shipping from AmmoMan.com!